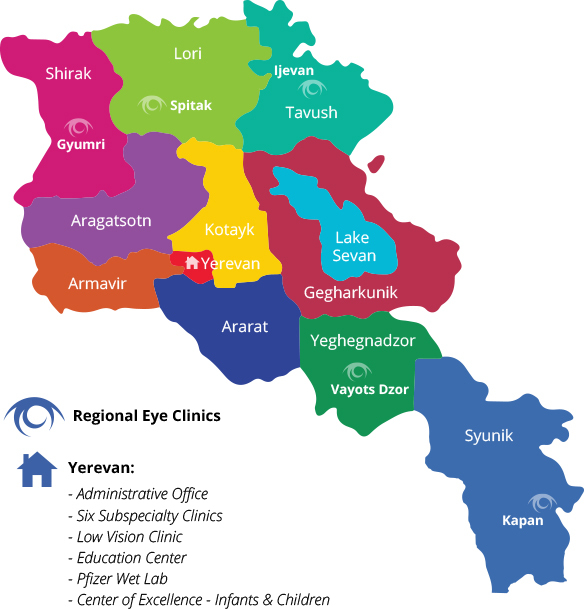 Armenian EyeCare Project » We Are a Four-Star Charity! We Are a Four-Star Charity! We are pleased to share with you that the Armenian EyeCare Project has been named a Four-Star Charity — the highest rating possible — by Charity Navigator, the largest charity watchdog agency in the country! Charity Navigator evaluates charities, based on information from their 990s, and rates them on financial health, accountability and transparency to show potential donors how efficiently a charity uses its donations; how well it has sustained its programs over time; and its level of commitment to good governing practices and transparency with information. Awarded a total of four out of four possible stars, the Armenian EyeCare Project was given an overall score of 97.5 out of a possible 100, receiving a perfect score of 100 in accountability & transparency and a score of 96.4 in finances. The AECP is also the only Armenian organization that holds a perfect four-star rating with the group. 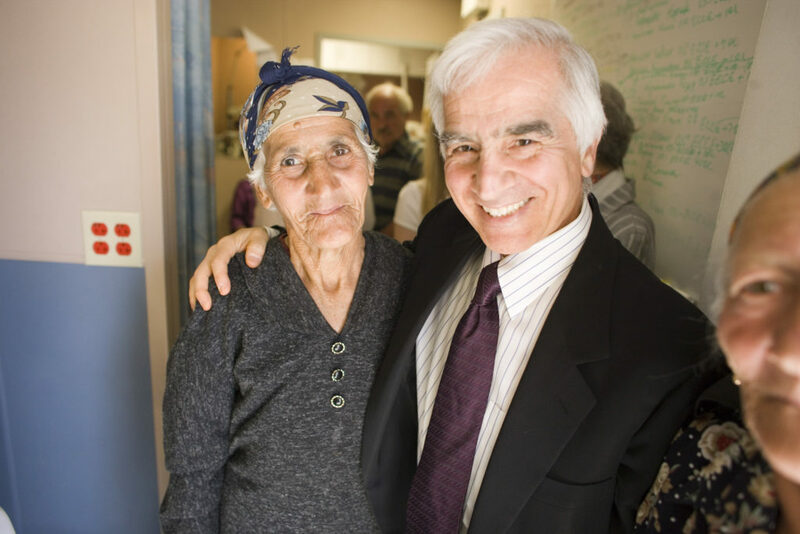 To keep program costs as low as possible, Dr. Ohanesian and all other EyeCare Project physicians donate their time and expenses, including travel and lodging. The generosity of these physicians enables more patients to receive care. In their analysis of our organization, Charity Navigator determined that 81.3 percent of our total finances are spent on programs and services in Armenia, 10 percent is spent on fundraising efforts, and 8.5 percent is spent on administrative costs. By publicizing this information, Charity Navigator helps guide intelligent giving and allows donors to make more informed decisions on where to donate their money. We are proud of our four-star rating from Charity Navigator and its assurance to our donors that their generous support enables us to fulfill our vision for Armenia — a country where no individual is without access to quality eye care; where Armenian ophthalmologists are trained to diagnose and treat eye disease at the highest level; and where preventable causes of blindness are eliminated through an emphasis on prevention and early intervention. You can learn more about our ratings by visiting Charity Navigator and doing a search of the Armenian EyeCare Project. You can also learn more about charity watchdogs and their important contributions to the non-profit sector below. What is a charity “watchdog”? A charity watchdog is an organization that provides ratings of charitable groups based on a number of criteria including how an individual charity’s money is spent, how a charity governs itself and how the charity protects its donors’ privacy. Who are the primary charity watchdog organizations? Which charity watchdog is best? There are lots of watchdog organizations, but the three main databases of information dominate the nonprofit sector. Each of the organizations provide valuable information and each has strengths and weaknesses. They also have different focus areas — BBB Wise Giving Alliance provides objective evaluations of charities based on 20 standards, but does not rank or rate charities. Charity Navigator and Wise Giving Alliance use IRS Form 990 — available to everyone online — as the basis of their reports. They use the 990 ratios to evaluate the three major categories of expenses — program, fund development and administration. Charity Navigator uses a comprehensive method to measure and rate the 990 financial statistics. They then convert these numbers into numerical ratings. If a charity does not meet their criteria each year they lower their rating. Wise Giving Alliance uses a number of different criteria to evaluate charities. For example, they believe how a charity responds to donor complaints is important. One very important advantage of Charity Navigator and Wise Giving Alliance is their advice to donors about dubious issues relating to a specific organization. Other rating agencies and state charitable solicitation regulators typically never say anything about a charity other than the numbers they receive from the charities themselves. How many charities are rated? There are 1.8 million charities registered with the IRS. Of these charities 675,000, or about 38 percent, file detailed tax returns or IRS Form 990. Charity Navigator rates about 8,000 charities. Wise Giving Alliance reports on about 11,000 charities and GuideStar does not report the number of charities rated (generally doesn’t rate), but provides access to Form 990 for all 1.8 million IRS-recognized tax-exempt organizations. How can I evaluate a charity? There are many ways to evaluate a charity. You just need to do a little research and talk to some people. Most important is transparency. Can you get the information you need? You can begin with reviewing the charity’s website and their 990. Check to see if they are rated by one of the organizations. You can also do a computer search to see what kind of publicity the charity has generated and received. Also, if you can, it’s nice to talk with people who had direct personal experience with them. Tell me more about Charity Navigator. Charity Navigator, the largest charity evaluator in America, helps guide intelligent giving by evaluating the Financial Health and Accountability & Transparency of more than 6,300 charities. Its website attracts more visitors than all the other charity rating groups combined. Charity Navigator accepts no advertising or donations from the organizations it evaluates to ensure impartial evaluations. Charity Navigator, a non-profit 501(c)(3) organization, depends on support from individuals, corporations, and foundations that believe it provides a much-needed service to America’s charitable donors. Several sources were used to compile information for this article, including “How to Choose a Charity Wisely” (New York Times / John F. Wasik); “Best Charities for Your Donations” (Anthony Giorgianni); “Nonprofit Issues” (Don Kramer) and CharityNavigator.org.